Every now and then we review a game where you can just feel the love the creator has for the project coming from every pixel on the screen, and Plantera is one such game. 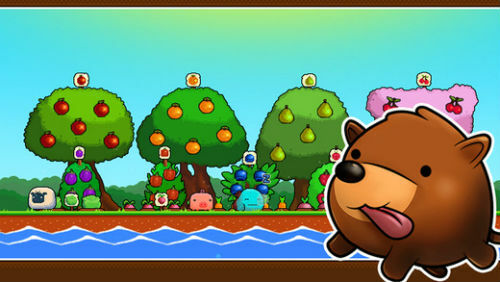 Available for Android through the Google Play store, and for iPhone and iPad through the Apple iTunes App Store (version reviewed), Plantera is a ludicrously cute farm management game. The game stars you as a strange little blue gardener who must tend to his side scrolling green paradise by planting flowers and trees, looking after them properly and keeping things safe from all manner of plant and animal munching baddies. The idea is to earn gold to enable you to keep expanding and growing new things, and to that end you can even keep animals, which will help you earn at a greater rate but also require managing, especially as they can also attract predators to your garden. Every problem in the game has a potential solution, such as hiring guard dogs to keep things safe, but each thing you add makes things slightly more complicated to run. Luckily, the game introduces new things at a steady rate to make sure you don’t get overwhelmed. The developer has actually got the learning curve spot on, with helpers there to give you a hand at just the time when things are threatening to get too hectic. Plantera is just gorgeous to look at, with bold and bright graphics creating a world that is just full of colour. The characters are really well designed and definitely have their own unique look, with lovely incidental animations really elevating the theme to a truly high level of quality. The game will continue to play even when you are not online, and this is where the aforementioned helpers and things like scarecrows really come into play. Dashing back and forth across your jolly little garden, managing little jobs is a nice distraction, but it does get more complicated as you make your garden larger and different species of plants becoming available. It never becomes what you would really call difficult, but things do start to require more thought and planning. One thing I would really love to see added to the game is seasons, as having to get through the occasional winter could provide a nice difficulty spike every now and then, and I would love to see things covered in snow. 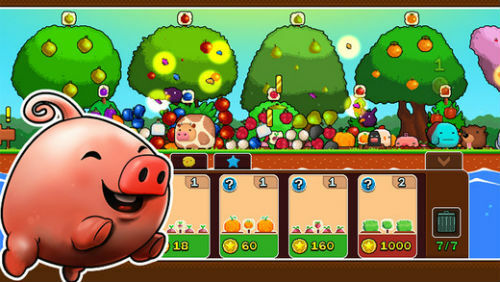 The included achievements do add an extra dimension to the game, and are a welcome diversion. Overall, this is a great side scrolling micro managing game with bags of character and a lot of potential. I really enjoyed my time with Plantera, as tending to a garden has never been so much fun.